You get a lead to sign up and then your sales team take it ahead and get it converted. Deal closed. That happens only in an ideal world, which ceases to exist. Lead nurturing, converting and retaining is not a one-day wonder. You need to do so many things simultaneously to keep your leads engaged and informed. The entire process of moving your leads to the sales funnel includes dozens of steps. When we are discussing the lead conversion process, it might sound like simple 1-2-3 steps. But there are so many things to do and you require so much collaboration for that. You need your sales team to respond almost immediately when your lead is ready. Your sales team will need to get in touch with the marketers to follow up after the purchase happens. Hence, the bottom-line here is- collaboration and that too instantly is important. Luckily, we have marketing automation tools to bridge the gap between sales and marketing, giving way to effective lead nurturing and conversion. Although, automation tools do not look like a productivity tool, using one surely helps in improving the marketing team productivity. Automation offers the precision required to identify the most potential leads and fill up your sales pipeline. Marketing is not about sending emails only. It starts with lead qualification, followed by nurturing and transferring to sales. You can get 100 visitors in a certain period of time. But are all these leads worth your time? To improve marketing team productivity, you will first need to have a clear picture of how a qualified lead looks like. This idea comes from interacting with the sales team. Once you know exactly what you are looking for, you can set your parameters on your automation tool. Based on these parameters, now you judge your leads’ behaviour and engagement. Those that fit your parameters most closely are your warmest leads or ideal buyers. Now you have qualified leads. Here also you can improve your marketing team productivity with automation- Automation enables advanced segmentation of leads based on website/app behaviour, engagement rate, location, and other demographics. According to this, a buyer’s profile for each lead gets prepared automatically. Now, when you observe and track their website behaviour, you can start assigning scores for each activity. Leads that have the highest scores are almost ready to hit the ‘buy’ button. As a marketer, you have successfully identified the most potential leads with automation tool. The same notification alert is sent to your sales representative as well. Based on your research and buyer’s profile, it becomes easier for your sales rep to communicate with these leads and get conversions. Your sales rep has all the information needed to close the deal. So, is that all you need to do as a marketer? No. The work has just begun. Once your sales rep communicates with the leads, it comes back to you again. This is the decision phase of your leads, and you need to tell them exactly why your brand will benefit them the most. Targeted and personalised emails are the best way to do so. Sending across valuable information and listing down benefits, along with exclusive purchase offers- automation ensures your leads are properly nurtured to finalise sales. Primarily, an automation tool helps in improving marketing team productivity by aiding with lead nurturing practices and bridging the gap between sales and marketing. But that’s not all. There are many more features an automation tool has that can improve your marketing team productivity manifold times. Many automation tools come with the clocking feature. You can assign deadlines for your team as well as for your own work. Finishing work on time can help in boosting your team’s productivity as it instils a sense of satisfaction that work gets done on time. Your marketing team need not falter with multiple clients demanding at the same time. Automation tool helps in organising, managing and reaching out to each client personally. Whether you need to send a detailed report or create an invoice or share work details- managing multiple clients is easy with an automation tool. And when your clients are managed properly, your marketing team works better. 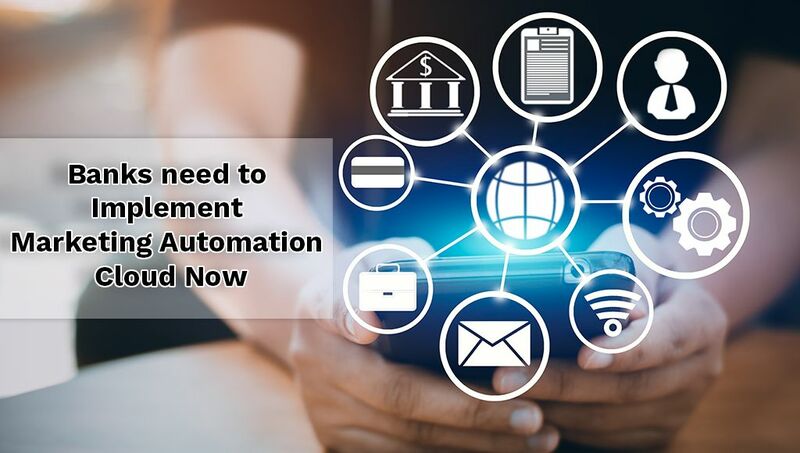 Thanks to features like autoresponders, automated drip marketing campaigns and automated email workflow design, an automation tool increases the productivity of your marketing team by taking over the tedious manual tasks and saving time. Detailed reports are another feature that aids in improving marketing team productivity. When your marketing team has data-points to analyse and detailed reports to support the data, lead analysis improves manifold times. 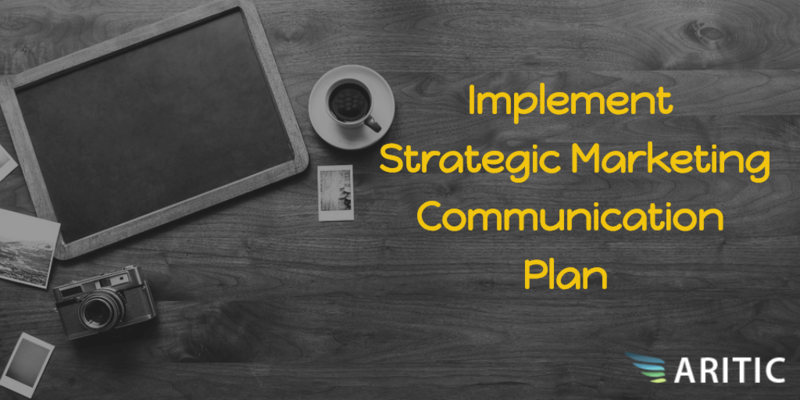 They are able to design and strategize their marketing flow in a more effective way. Automation offers a unique kind of transparency. Your marketing team can instantly know which lead or client needs attention, which one will need more nurturing and which are ready for your sales rep to take over. This transparency helps in building a relationship with your customers/clients, which in the long run boosts your over all sales as well. Social media integrations; and more. 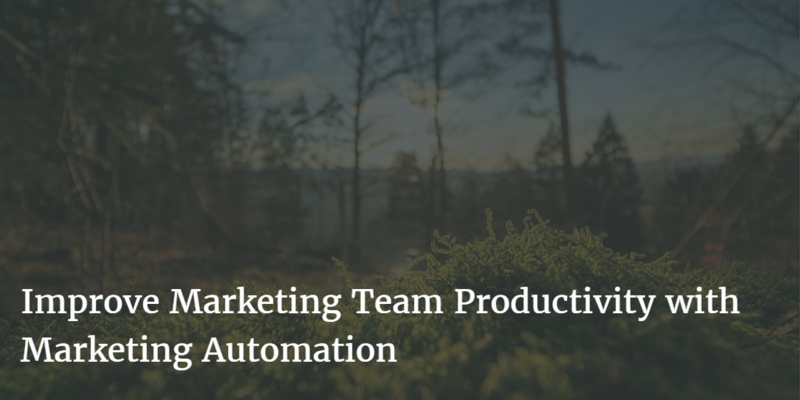 If you are looking to improve your marketing team productivity with automation, it’s time to start using one. Since there are many activities involved in the marketing team, which can be carried out smartly with the help of marketing automation platform. It was an interesting article Ankit! It discussed about how the automation tools can speed up the marketing process and lead to higher productivity. Yes, Ankit, I do agree that marketing automation software is a great tool which can help you increase productivity. Loved to read this post! Marketing automation makes the whole process quicker and simplifies the work of the sales team to increase the opportunities for new businesses. Marketing automation is a great platform which can help you drive great sales by increasing productivity. The blog contains interesting ideas regarding it. An excellent article Ankit! I genuinely agree with the tips discussed here as the automation tools speed up the marketing process and hence leads to higher productivity. Automation tools speed up the marketing process and hence leads to greater productivity. I am intrigued to try increasing my team’s productivity with an automation tool now. Great post. Marketing automation makes it very clear where the bottlenecks in your company are, thanks to having clearly defined processes, and birds-eye view reporting of the company’s pipeline. It does not only keep an account of their work but also makes their work a lot easier and provides aide. As marketing professionals strive to keep their brands on the forefront of their consumers’ minds, data management through marketing automation technology makes just right sense. Marketing Automation software is a gem of a tool that helps us to drive our company forward by increasing productivity and income at the same point of time. Not only Marketing team’s productivity but also Sales team’s productivity increases by implementing Marketing Automation Software. It brings with it the speed, agility, effectiveness along with better sales and profits! Hey! lots of good advice in your post! Marketing automation is not like a productivity tool, but it definitely makes the whole process quicker and simplifies the work of sales team. I cannot see why still many of marketing departments, consultants, and full-sized marketing agencies don’t realize the benefits offered by marketing automation. I think a marketing automation software is very necessary to streamline the sales and marketing teams by replacing time-wasting procedures with automated solutions.